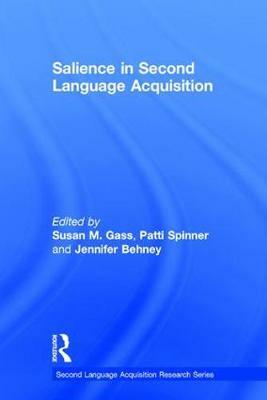 Salience in Second Language Acquisition brings together contributions from top scholars of second language acquisition (SLA) in a comprehensive volume of the existing literature and current research on salience. In the first book to focus exclusively on this integral topic, the editors and contributors define and explore what makes a linguistic feature salient in sections on theory, perpetual salience, and constructed salience. They also provide a history of SLA theory and discussion on its contemporary use in research. An approachable introduction to the topic, this book is an ideal supplement to courses in SLA, and a valuable resource for researchers and scholars looking for a better understanding of the subject. "This is an exceptional collection, well worth reading for anyone interested in SLA research. The volume's most valuable features are its coverage of a wide range of opinions, theoretical positions and contexts, as well as the clarity of the insights provided, which enhances our understanding of what salience means and the role that it plays. A much needed resource!"